Item #0072: MacaForce takes maca to its full potential. 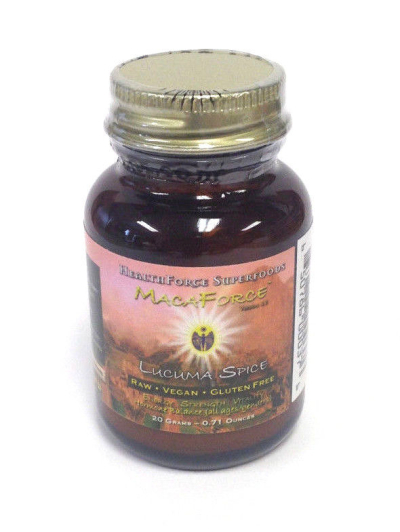 It is the powder of the whole maca root (with all of the nutrients Mother Nature intended, yet contains the potency of an extract) combined with carefully selected enzymes, probiotics, herbs, and energetics to provide full-spectrum bio-availability and therapeutic value. All ingredients are magnetically sanitized and purified and carefully dried to preserve enzymes, life force, & other heat sensitive elements. 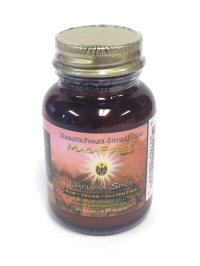 Whole maca root powder is a food. Start with one teaspoon per day and increase gradually over two weeks to suggested use of one tablespoon per day, either all at once or divided. Add to smoothies, juice/water, seed/nut milks, or any other food. Suggested Adjuncts: A whole food, organic, vegan diet with emphasis on fresh, high water content, live/raw foods and juices, exercise, fresh air, and anything healthful to you. * These statements have not been evaluated by the FDA. This product is not intended to diagnose, treat, or cure any disease.